Every so often I get the chance to view a film that I know for certain will greatly impact the Church. Rarely though have I seen such a powerful film as the soon-to-be-released "Babies Are Murdered Here" by Crown Rights Production. Having known about this film for some time I was intrigued as to how it would approach the right to life issue. What I wasn't prepared for was how it completely turns the Pro-Life movement on its head in regards to how we should biblically approach the issue and its relation to the local church. Most Christians who stand outside of abortion clinics to minister are usually taught that the women who come to abort their babies are victims. Because of this, the actual act of abortion has been glossed over for the sake of false sensitivity. Yes, FALSE sensitivity! The idea is that we no longer want to make the mothers, and often the fathers, feel as though they are guilty of some sort of wrongdoing but merely a victim of circumstance. Yet it completely ignores the fact that there is only one victim in abortion...the baby. The mother may walk away and feel regret afterwards, but she will still be alive. The father may look back at his "lost fatherhood" and wonder, but he will still be alive. Abortion is murder and anyone who participates in the death of a child is guilty of such. "Babies Are Murdered Here" reminds us of this fact and offers several documented examples of both men and women who are not the victims that the pro-life movement attempts to portray. As our church has developed its outreach at a local abortion clinic, we too have witnessed firsthand the reality that these women are not victims forced to make a "tough" decision. This is evident not just in the obscene gestures and foul language of these women but in their absolute refusal for help. We even offer to adopt the babies of these women and bear the weight of their medical expenses throughout their pregnancy. Yet we are consistently met with prideful, arrogant responses from women who are seeking the most convenient way for them to dispose of their child. These people are not victims...they are murderers! In the film you will see clips from pro-life advocates who absolutely refuse to call abortion murder. Despite the logical arguments presented, the pro-life movement pressures anyone involved to not use words like "murder" or "murderer" but to see abortion as a two-victim act...against the baby and the mother. While living in Juneau, AK we participated in protests outside the Planned Parenthood. We were asked to not even speak to the people going into the clinic but merely stand and hold signs. As I look back I regret heavily that I submitted to this false position and did not cry out for the women entering the abortion mill to not murder their babies. We too had fallen in line with the pro-life movements false notions of victimization without even a second thought. Another noteworthy aspect of the film is how it does the opposite of what some have done in their attempts to abolish abortion. Some well-intentioned Christians have developed a subculture of unaccountable para-church groups that has often resulted in the fracturing of local churches and the unbiblical development of new "churches" that are solely centered around the abortion ministry. Jon Speed addressed this issue early on in the shooting of this film on YouTube. Rather than calling people out of their local churches, "Babies Are Murdered Here" calls the brethren back to their churches to work from within for this much needed ministry. It seeks to exhort us to not start cliques of self-righteousness and false piety but to lovingly submit to the local church and seek to go out from there to minister at abortion clinics. The 180 Movie, produced by Living Waters, had a primary focus of reaching out to the lost and the pro-baby murderers with the truth of the Gospel and the reality of abortion without the use of pictures of murdered babies from the womb. 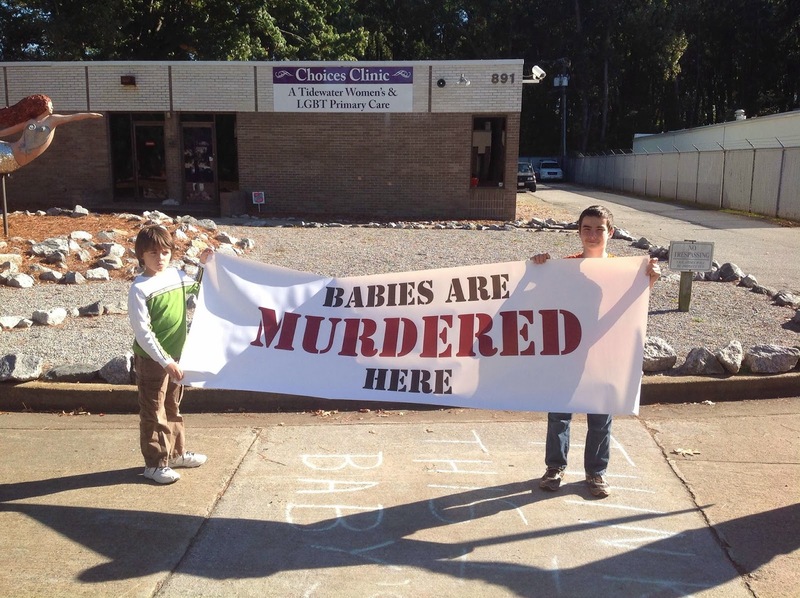 "Babies Are Murdered Here" also does not shy away from the reality of abortion and likewise does not use graphic images to convey this but is directed less to the lost and more to the Christian and their church. It serves to lovingly call the Church out to these places of murder by working from within. Make no mistake, "Babies Are Murdered Here" does not try and convince anyone that what is in the women's womb is a baby. Why? Because they already know that it is a baby. They already know! They already know the baby is a fellow human being. They already know what they are doing....and they don't care! For those who have not been active in abortion ministries, some of the reactions from these women entering the clinics and the workers will shock you. They will readily acknowledge that they kill babies. One woman parades down the sidewalk boasting of this while in the very next clip a worker welcomes women who want to kill their babies to "line up" because she plans to kill even more. They already know abortion is murder...they are not victims. Yet there is hope in the midst of this for these murderers. Christ can forgive them of this sin through repentance and faith. Not mere sorrow, but true repentance that sees murder as is a direct sin again God. A heart that cries out "against you Lord, have I sinned and done evil in your sight (Psalm 51:4). Have mercy on me, a sinner" (Luke 18:13)". On January 22nd, the anniversary of Roe v. Wade, Crown Rights Productions will release this film for FREE on YouTube. If you are a fellow Pastor, I encourage you to advertise for the public showing of this film. Network with your fellow local churches and invite in as many as you can to see this. If you are a church member, lovingly speak with you Pastors about watching this and doing just as I have suggested. Then begin to develop a biblically-based outreach ministry to the these abortion clinics. There are many faithful saints who have laboring for years who can help offer assistance as well. Finally, let me encourage my fellow brethren who live near Elizabeth City, NC. Our church has an active ministry outreach at clinics nearby and would love for you and your church to partner with us. LET ME BE ABUNDANTLY CLEAR: This is not a competition for membership or an attempt to attract people to any one church over another. We are simply desiring to partner with you to help us preach the Gospel and plead for the lives of these babies outside of these places of death. We fully expect you to mention your church to the people you are able to talk to at the clinics so that they can have additional contact after your initial encounter with them. You can contact me by sending an email to adam@archurch.us if you are interested. Prepare to have the entire Pro-Life movement rocked by this film. Prepare to see local churches rise up to preach the Gospel and cry out for the lives of children outside of abortion clinics across the nation. Get ready for the tsunami-sized wave of impact this film will have in the lives of believers, local churches, and the entire Pro-Life movement. 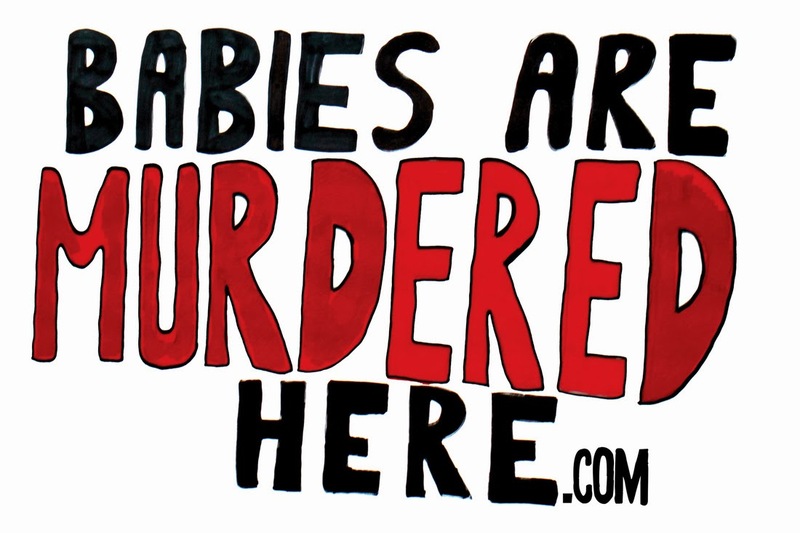 Let's abolish the murder of babies! May Christ's Bride arise and stand for the unborn and may God alone be glorified for what this film will do in the weeks, years, and decades to come.